Come join us on Superbowl Sunday, Feb 3rd, for a fun quilt project made with pre-cut strips. 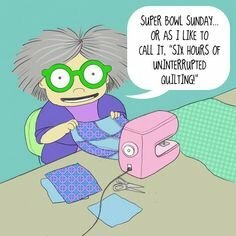 We have a beautiful quilt to show, and you will get lots done on that day from 12:30 to 5:30--still time to make any Superbowl parties! We share friendships, food and stitching on that fun day--come join us!